Most people who are interested in finding a nursing home or assisted living facility for a loved one rely on recommendations from friends, family or healthcare providers. While personal recommendations do provide some insight into the quality of a facility, it’s dangerous to rely solely on these secondhand opinions to make such an important decision. To find the best nursing home, you’ll want to conduct your own research. These ten key questions should provide you with a comprehensive look at the suitability of the facilities you are considering. 1. Is the Facility Certified and Accredited? Any nursing home that you’re considering for your loved one should be fully certified and accredited. Certifications and accreditations help ensure minimal standards for the care that is being provided. The Joint Commission on the Accreditation of Healthcare Organizations (JCAHO) is a non-profit organization that works to evaluate nursing homes and other healthcare organizations across the United States. You can ask a facility representative directly if they have been accredited by JCAHO or simply keep your eyes peeled for the JCAHO “Gold Seal of Approval” decal displayed somewhere within the facility. Aside from JCAHO accreditation, it’s important to ask if the nursing home is certified by Medicare. Facilities are evaluated for Medicare certification using medical record reviews, resident interviews, resident observations and a researcher’s personal evaluation of the premises against predetermined criteria. Medicare only pays for facilities that meet its standards. Even if your loved one is not currently covered under Medicare, choosing a Medicare-certified facility is a wise choice. AARP reports that nursing home care averages more than $50,000 per year. This type of financial expense is difficult for most people to manage on a long-term basis. 2. Are Residents Addressed With Respect? Nursing home residents may require assistance with the activities of daily living, but they are still people who are worthy of respect. A quality care facility will not ignore a resident’s pleas for assistance, damage his or her belongings, speak poorly of him or her to others, attempt to isolate him or her from loved ones or engage in behaviors that increase the risk of injury. When you are touring a nursing home, pay close attention to how the staff interacts with the residents. Nursing home staff should treat all residents with respect, even those with dementia. 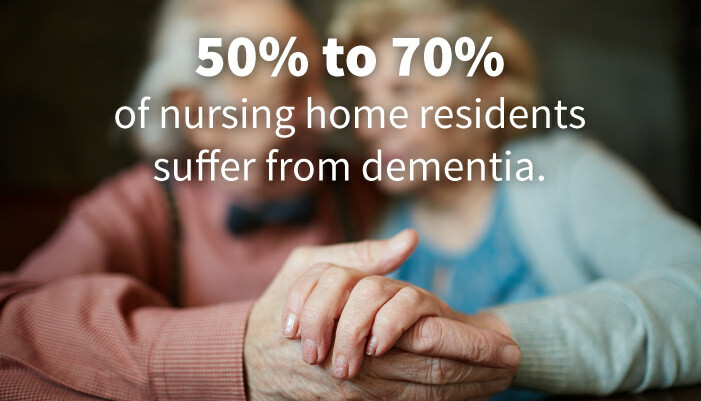 According to Health in Aging, 50% to 70% of nursing home residents suffer from dementia. This means they have difficulty making daily decisions, struggle to remember information, have trouble communicating their needs and may not know where they are from time to time. Up to one-third of people with dementia also have problematic behaviors such as wandering, being verbally or physically abusive to caregivers or attempting to resist necessary care. Their limitations make them particularly vulnerable to abuse from caregivers, especially if the facility does not have enough staff to keep caregivers from becoming frustrated and overworked. Nolo reports that almost one-third of nursing homes in the United States have been cited for elder abuse violations. Elder abuse includes verbal abuse, physical abuse, sexual abuse and financial abuse. If you ever suspect that your loved one is being abused by a caregiver, transfer him or her to another facility and contact an elder law attorney immediately. Nursing home neglect carries stiff legal consequences. 3. How Much Independence Do Residents Have? Everyone, regardless of their age, wants to be free to make their own decisions regarding their daily activities. For seniors, a loss of independence is one of the biggest concerns when moving into a nursing home. Although the move into a nursing home will inevitably involve some changes in a senior’s schedule, the best facilities should do everything in their power to allow a senior to maintain as much independence as possible. Being allowed to make simple choices about their daily routine gives seniors a sense of control and helps to maintain their basic human dignity. Restrictions are only appropriate when they are for health and safety reasons, such as limiting outside activities due to a resident’s tendency to wander. 4. 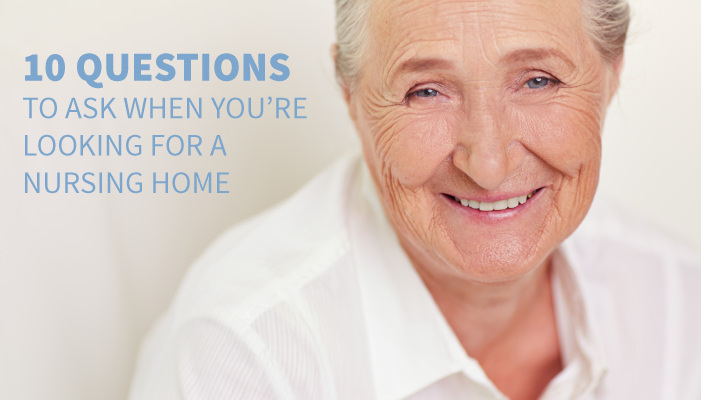 What Safety Precautions Are in Place to Prevent Nursing Home Accidents? If you’re moving your loved one into a nursing home because you’re worried it’s not safe for him or her to live independently, your top priority should be choosing a facility with a detailed plan for keeping residents secure. Do they have their own hospital transport? If not, how long will it take an ambulance to reach the facility? How often is the facility inspected for electrical problems and other maintenance issues? Are there safety alert systems so residents can easily call for help when needed? Do they have backup power generators for residents who require medical machines? Is the staff trained in emergency evacuation techniques? What steps are taken to keep patients from wandering off the premises? How do they guard against the theft or destruction of a resident’s personal property? Are visitors required to present a photo ID when they check in? Do they conduct thorough background checks on employees? What is their policy for handling accusations of caregiver misconduct? 5. What’s the Procedure for Handling Falls? Falls represent a serious safety risk for a senior. Falls can result in functional decline, disability and a lower quality of life. Fear of falling can also lead a senior to avoid certain activities, which increases the risk of depression and anxiety due to social isolation. 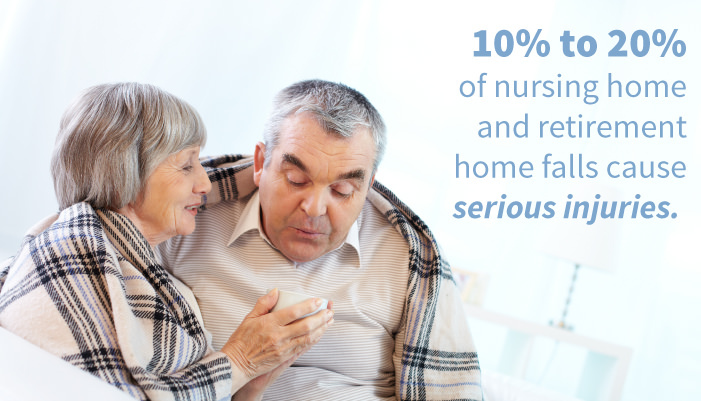 The CDC reports that 10% to 20% of nursing home and retirement home falls cause serious injuries. Residents fall an average of 2.6 times per year, increasing the risk of complications each time a fall occurs. Muscle weakness and gait problems are the most common cause of falls among senior citizens. However, environmental hazards play a role in a significant number of cases. Poor lighting, wet floors or improperly maintained wheelchairs can all increase a senior’s risk of falls. To minimize nursing home fall risks, a facility should use safety precautions such as grab bars and handrails in walking areas. Raised toilet seats and lower bed heights can also help prevent nursing home injuries. Physical restraints were once used as a fall prevention measure, but this tactic has been proven ineffective. Restraints also reduce physical function and promote muscle weakness due to the senior’s inability to move freely. 6. What’s the Procedure for Dispensing Medication? Modern medicine has drastically increased the average lifespan, but the prescription drugs that help manage a senior’s health issues can easily create problems if they are not handled properly. 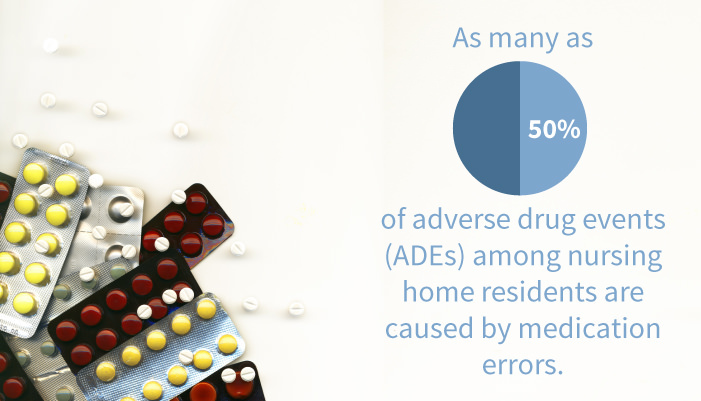 As many as 50% of adverse drug events (ADEs) among nursing home residents are caused by medication errors. The chance of error is highest among the 68% of nursing home residents who take nine or more prescription drugs per day. Nursing home medication errors can cause ADEs that can lead to falls or fractures, incontinence, delirium, behavior problems, malnutrition and dehydration. In serious cases, a nursing home wrongful death may occur. A nursing home should have regular training sessions for nurses and other caregivers. Mistakes such as failure to “shake well” before using or crushing medications that should not be crushed are easy to prevent with proper training. There should be a strict procedure for organizing and dispensing medication to ensure that a resident’s medical records are accurate and that all medications are properly accounted for. Staff should also be trained to identify resident by photo, armband and resident self-identification to reduce the risk that medications might be accidentally given to the wrong person. Administrators should work to maintain a suitable staffing ratio, since overworked nurses are more likely to make errors in dispensing medication. 7. How Does the Staff Behave? It doesn’t matter if a nursing home or retirement home has state-of-the-art furnishings if it’s staffed by people who are unhappy. Caregiving is work that requires a personal touch, which means a nursing home is only as good as the people who run it. Nursing home or retirement home staff members should not be working a lot of overtime or double shifts, as this is a sign they might be too overworked to provide quality patient care. When you speak to them, they should demonstrate a true passion for their work. Caring for the elderly on a full-time basis can be very stressful. It’s not a job people should be doing just to earn a paycheck. Notice how staff members treat the residents as well as how they treat each other. Staff members who value teamwork are better equipped to deal with any emergencies that may arise. If they appear to be rude to each other or disinterested in their work, there’s a good chance the facility isn’t the right place for your loved one. 8. What Activities Are Offered? A nursing home should provide a wide menu of activities for residents to encourage socialization and enhance a senior’s overall quality of life. Most facilities employ a recreational therapist who is responsible for scheduling and overseeing resident activities. A recreational therapist has extensive training in planning activities that can promote physical and mental wellbeing. Recreational therapists work with residents who are staying at a facility temporarily as well as those who suffer from dementia and need activities to reduce aggression or improve comfort levels. Birthday parties, so each resident has an opportunity to celebrate his or her special day with a cake, songs, balloons and other festive treats. Ice cream socials, where residents can choose from whipped cream, sprinkles, hot fudge and other toppings to make their own delicious dessert. Game nights with board games and card games tailored to a wide range of cognitive abilities. Craft time, where residents can work on projects such as crocheting or making scrapbooks of favorite family photos. Cooking or baking activities, such as frosting cookies or preparing homemade bread for all to enjoy. Sing-alongs or visits by local musicians playing songs that were popular when the residents were younger. Exercise classes that incorporate stretching and gentle calisthenics adapted to each resident’s physical capabilities. Pet therapy programs that involve having cats, dogs and other animals visit from a local shelter. Holiday programs, such as having local school children come trick-or-treating during Halloween or having members of a church come sing Christmas carols and pass out small gifts in December. Residents of nursing homes and assisted living facilities should be encouraged to join activities but not be forced to participate in programs that do not interest them. Adequate supervision should be provided to ensure that residents do not injure themselves. Food should provide more than nourishment. It should be visually appealing and stimulate the taste buds. 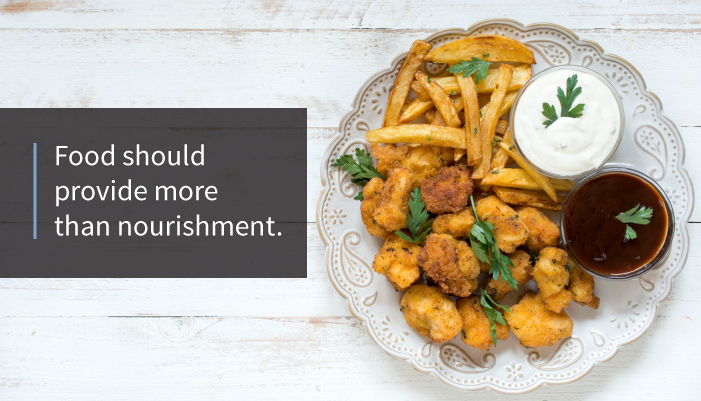 When a facility provides poor-quality food, residents are likely to lose interest in eating. This can easily exacerbate pre-existing medical conditions. You can ask a facility representative about their policies regarding meal preparation, but the best way to evaluate a nursing home’s food is to eat a meal yourself. If the food isn’t appealing to you, it’s likely not appealing to your loved one. If your loved one is already in a nursing home, ask him or her about meals when you visit. You should also pay close attention to your loved one’s reaction to any special treats you bring in. If the facility’s staff reports that your loved one displays minimal interest in eating, yet he or she happily eats the food you’ve brought for your visit, this demonstrates that changes should be made. 10. What Can You Smell? Nursing homes often have a distinct odor. Medications and dietary restrictions can make seniors gassy. Some of the frailer residents may also lack control over their bowels and bladder. However, a facility with an overpowering odor is not being cleaned properly. For example, a nursing home’s floors need to be stripped and re-waxed regularly since urine odors can easily penetrate floor wax. When this is not done, the facility will have a lingering odor that is immediately noticeable. When you’re touring a facility, look past the superficial furnishings and check to make sure the windows, baseboards and corners look like they’ve been recently cleaned. Ask how often housekeeping services are provided in a resident’s personal living space and what the procedure is for handling dirty laundry. A quality nursing home makes cleanliness and sanitation a priority. Once you’ve conducted some basic research on your own, it’s a good idea to have a lawyer review the nursing home’s contract. The contract should cover important details such as how the facility handles residents as they become sicker, what the procedure is for leaving the facility and how future rate increases will be handled. A law attorney can help you understand the contract and may assist you in negotiating any necessary changes.